Nowadays one of the most important things we always have to carry is mobile phones. We cannot even think of a day without our mobile phones. Especially most of the mobile users now possess a smartphone on their own. People always want to use a mobile phone from a most reputable brand. Sony Xperia is such a reputable name in the mobile industry. In Bangladesh Sony Xperia mobile are so popular for extra-ordinary features and exclusive designs. Basically the name “Xperia” comes from the word experience and it is the brand name of Sony Mobile’s tablets and smartphones. At 2012 Sony was rebranded to Sony Mobile from Sony Ericsson. The first phone of the Xperia range was Xperia X1 which was released at 2008. It comes with a high resolution display to give people a brand new experience with their smartphones. X2 was released in the same year which featured a 8.1 MP camera. The first android based phone of Xperia flagship is X10 and was introduced in 2010. All the previous models featured Windows Mobile OS. Then Sony has brought new Z series smartphones into the Xperia legacy. In 2017 they introduced new Xperia XZ Premium into the flagship. The latest smartphone of Sony Xperia flagship is Xperia XZ2, which was released in February 2018. The phone features 19 MP primary cameras and 5 MP selfie camera. This phone is powered by Octa-core Qualcomm Snapdragon 845 processor and 5.70-inch touchscreen display along with a resolution of 2160*1080 pixels. It comes with 64GB internal storage and 4 GB of RAM. Sony Xperia Z was launched in January, 2013. It packs Android 4.1 and is running by a 2300mAh non-removable battery. The phone comes with 2GB RAM and 16GB ROM while features 1 a .5GHz quad-core Qualcomm MDM9215M processor. 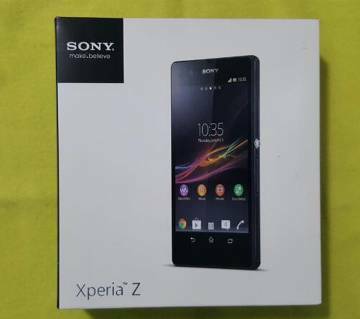 This smartphone is one of the most searched mobile of Sony Xperia in Bangladesh. This popular Sony Xperia Mobile was first introduced in September, 2016. Xperia XZ surprised people with it’s exclusive camera configuration to be specific 23MP primary camera and 13 MP selfie camera. It features a strong Qualcomm Snapdragon 820 processor along with a 2900mAh non-removable battery. Why Purchasing Sony Xperia Mobile ? Sony Xperia is one of the most popular smartphone brands in the world. People are fascinated to Sony Xperia devices for their updated processors and decent cameras. They always inspire subtle design with great screen resolution. In Bangladesh people want to have a smartphone with all the latest features with limited budget. All the Sony Xperia Mobile is popular enough for better audio quality and better camera resolution. Check out the best deals on Symphony mobile price in Bangladesh. AjkerDeal has made it quite easier to get best offers on Sony Mobile Price in Bangladesh. If you want to buy latest mobiles of Sony Xperia in Bangladesh just visit relevant category. Exclusive deals are going on for Sony Xperia Mobiles at ajkerdeal.com. You can buy Xperia flagship mobiles with 0% EMI offer and on APP order additional 5% discounts are available as well. Buy Original Xperia smartphones with home delivery and Cash on delivery. Check out the best deals on sony mobile price in Bangladesh to grab your desired sony mobile at an affordable price. Place an order online to get the best offer on sony mobile price in Bangladesh. Enjoy a great online shopping experience with AjkerDeal.com! If you are looking for Nokia smartphone you can also check out Nokia 6 price in Bangladesh to get the best price at AjkerDeal.com! Also check out iphone 7 price in Bangladesh at AjkerDeal.com! AjkerDeal has the largest collection of Mobile Phones from the reputable brand in Bangladesh. Also check out xiaomi redmi note 4 price in bangladesh at AjkerDeal.com to get the best value. All the phones are coming with relevant warranty and guarantee of quality. Enjoy a great online smartphone shopping experience with AjkerDeal.com!